I am green with envy over these ladies’ shorts. 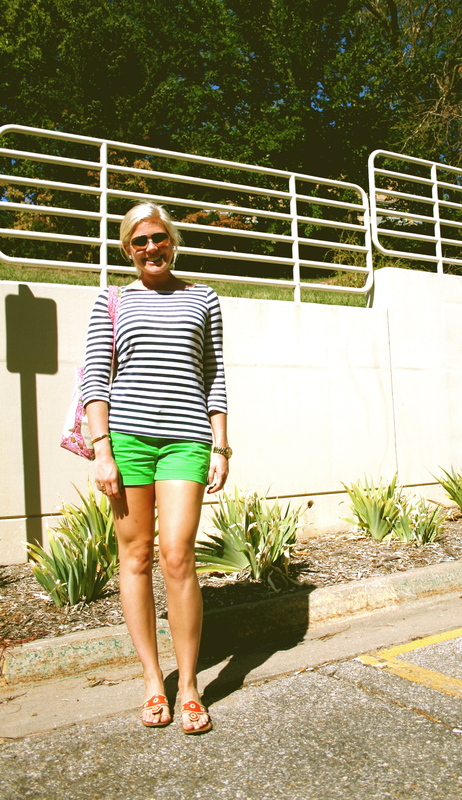 While both girls (as seen below) accessorized with some aviator shades, look one paired her’s with a nautical high-necked top and orange Jack Rogers. Look two opted for a purple Ralph Lauren tee with t-strap blue sandals. 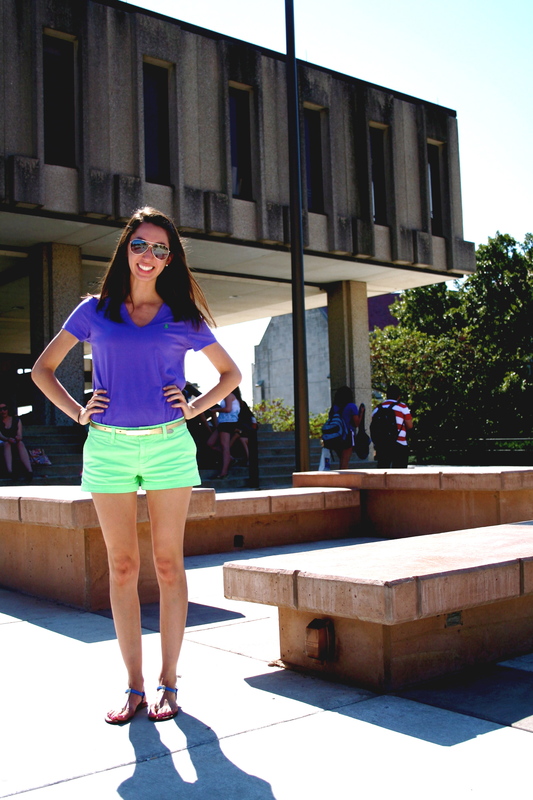 Either way, these fashionable KU gals certainly demonstrated a core philosophy of mine: the more color the better!